August is one of the hottest months of the year in the northern hemisphere. That means sweaty days and steamy nights, but it also means plenty of excuses for refreshing rum drinks. Right in the middle of the month, on August 16, you have double the excuses to grab the rum: National Rum Day. From traveling to one of the Caribbean’s great rum distilleries to making a pilgrimage to the birthplace of classic rum cocktails, there are some experiences you just don’t want to miss on National Rum Day. If you don’t take full advantage of the day this year, don’t worry: it’s never a bad time to have a good time with rum. 1. Visit the only distiller aging its rum under the sea. Rum and the open water are a natural pair. On Grand Cayman in the Caribbean, Cayman Spirits Co. merges the two unlike any other distillery in the world. 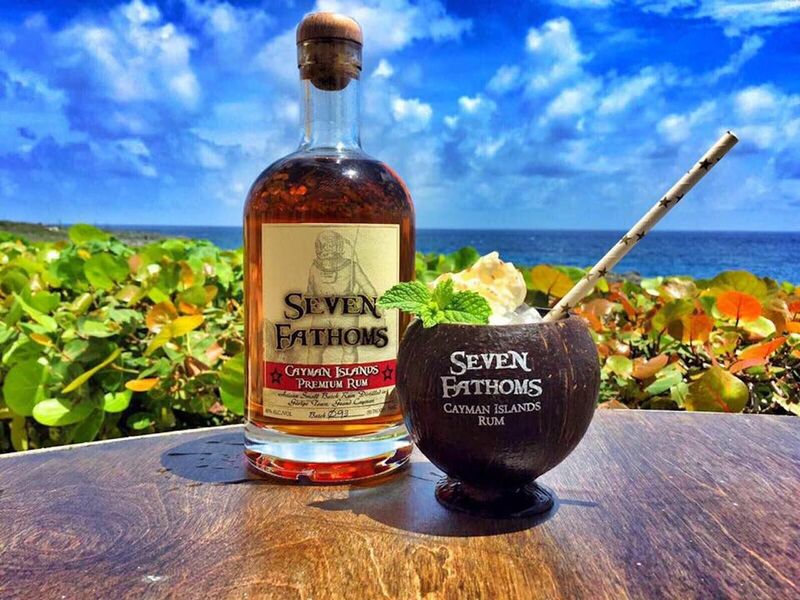 The island’s only distillery has a spirit called Seven Fathoms Rum, which is aged 42 feet (that is, if you couldn’t guess from the name, seven fathoms) beneath the Caribbean Sea. Sinking the barrel of rum allows the underwater currents to gently rock the spirit in an environment that the company says is “like nowhere on land.” You can learn more about the process and taste it for yourself — as well as a “distiller’s special” rum that’s only available at the distillery — when you visit and take a tour. 2. Swim to the original home of the Painkiller cocktail. The Painkiller is one of the most easy-drinking classic rum cocktails out there. 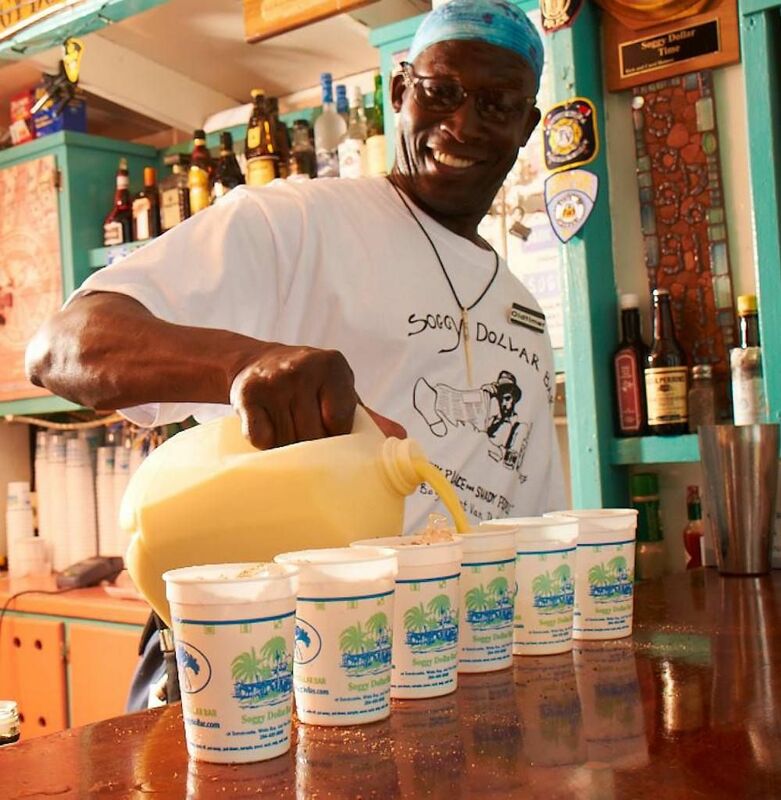 It was invented and perfected in the early 1970s at the Soggy Dollar Bar, a self-proclaimed “sunny place for shady people” located in the British Virgin Islands. Variations on the recipe quickly spread around the world, and while you can get a taste pretty much anywhere, nothing compares to drinking it at the original location. One reason is that the exact proportions of the bar’s original cocktail is a secret mix of dark rum, cream of coconut, freshly grated Grenadian nutmeg, and pineapple and orange juice. The other reason is that the only way to get to the Soggy Dollar Bar is to swim (hence the “soggy dollar”) or take a dinghy from the islands of Tortola or St. Thomas. To get a taste of the experience before you make the trek, you can watch the bar’s live webcam, which streams all day and all night. 3. Take a rum-filled jungle tour in the middle of LA. The Arts District of Los Angeles isn’t where you’d expect to find a tropical jungle tour, but that’s exactly what you’ll encounter at Lost Spirits Distillery, where each tour is conducted on a boat via an indoor winding river. Imagine Disney’s Jungle Cruise, then add award-winning rum and an inside look at one of the most forward-thinking and experimental distilleries in the country. Each cruise lasts two hours as the boat takes groups of around 10 to the laboratory, past “headhunters” on the banks near where the boat passes, and finally down into an underground tasting room. It’s a rum tasting you’ll surely never forget. At the distillery, there is also a carousel and tons of imaginative decor. You need to book in advance, and don’t forget to wear appropriate jungle-cruise clothing. 4. Drink rum punch on a shanty in the middle of the Caribbean. Floyd’s Pelican Bar looks like someone built a treehouse out of pieces of driftwood and wood scraps, then placed it on a sandbar in the Caribbean — because that’s exactly what it is. 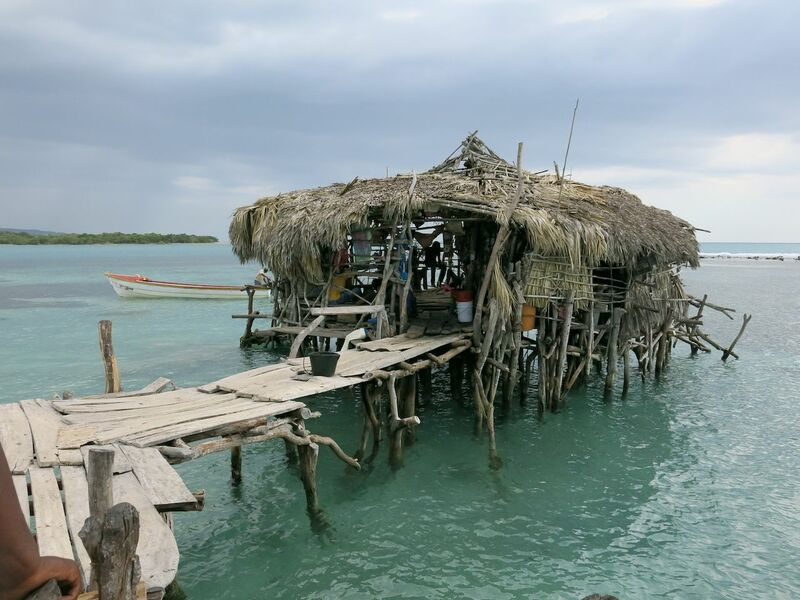 Located about a mile off the coast of Jamaica, Pelican Bar is a slapped-together shanty built by Floyd Forbes for his friends in 2001. Over the years — and more than a couple rebuilds due to inclement weather — the bar has become an attraction in and of itself. Here, you’ll be able to drink plenty of good punch with quality Jamaican rum, surrounded by blue waters and white beaches. You have to take a boat to get there, and you can pay a local fisherman to take you. If you’re hungry, you can pay for the staff to catch and cook a fish for you. Boat on over, spend some time in the sun drinking rum punches on the dock, and watch the day fade away — and don’t forget to carve your name into the wooden planks, of course. 5. 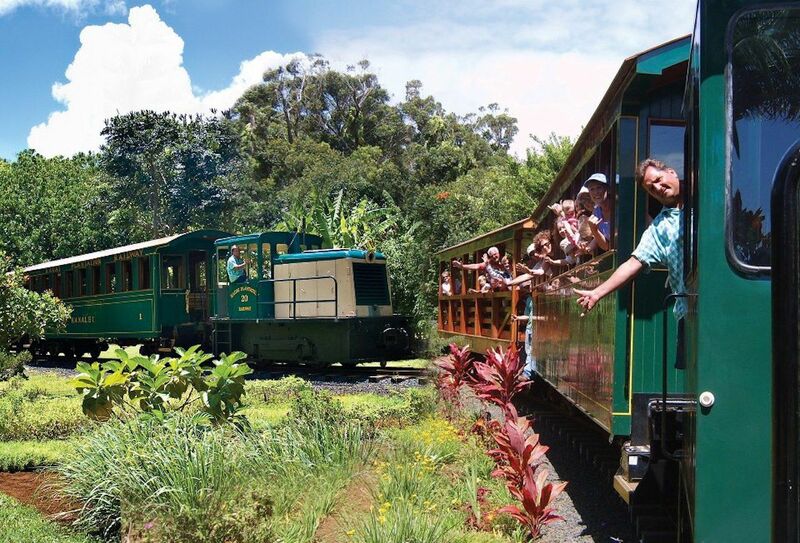 Drink bottomless Mai Tais on a Hawaii plantation train. The Kilohana Plantation Estate is located on Kauai — Hawaii’s most underrated island. The estate alone is a draw for visitors, but if you want to get the full experience, you need to take the train ride around the property with bottomless Mai Tais in hand. The Luau Express Train Tour is part of the Luau Kalamaku and takes place every Tuesday and Friday night. A bar with endless Mai Tais made with rum, orgeat, curaçao, and lime juice awaits each visitor. Close by is the Koloa Rum Company where you can taste rum made from sugarcane grown on the plantation. Then it’s time for more Mai Tais — because there’s never enough Mai Tais.